The 12th International Literature Festival Berlin (ILB) will take place between 4th - 16th September and 2012 and, as in the past years the organisation will present over 100 authors from all over the world in more than 200 events. This year’s festival focus will be “Europe” aimed at creating a "literary discourse, evaluating what role literature will and shall play for the European integration in the future. In a non literary competition the organisation has decided the search of the European (self-) image shall be enlarged to the field of Comic Art with a competition entitled “Europe Now”. Within this framework the ILB is looking for comics, which capture a (the) European reality, and perhaps the condition of the continent, how it appears to the comic author. 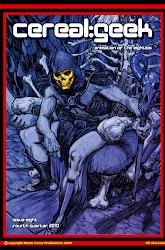 Comic artists from all over Europe are called to sent there work by 30th July 2012. A jury will select the “best comic”, which will be awarded with € 500 and exhibited during the festival. Continuing a month of shows about comic communities around the UK, Alex Fitch travels to Manchester to talk to four local creators on Sunday's Panel Borders. Adam (Blood Blokes) Cadwell, John (Bad Machinery) Allison, Joe (Freak Leap) List and Chris (Video Nasties) Doherty talk about self publishing, the influence of other media on their work, using the internet to promote their comics, plus the experience of living and working in the North West of England. Egmont has launched its new digital Classic Comics imprint with four iBooks collecting some classic Roy of the Rovers stories. Egmont says it will be distributing a broad programme of iBooks and e-comics, and with a huge amount of comics material in its archive, the possibilities are broad given their ownership of material from titles such as Battle, Misty, Whizzer and Chips and Tammy, to name but a few. Any comic character published for the first time by Fleetway Editions since 1970 - other than characters sold to other companies such as those that featured in New Eagle, which are owned by the Dan Dare Corporation - could now see new life in digital form. Let's hope it's a success and sees new strips added to the mix at some point. Roy Race first started appearing in the weekly comic Tiger in 1954 and has always been the character Egmont have used to push open the doors with new developments for their archive material. David Riley, Managing Director, Egmont Publishing Group, commented: “We are very proud of the iconic comics in our archive and digital publishing allows us to bring them back for fans, old and new, to enjoy. 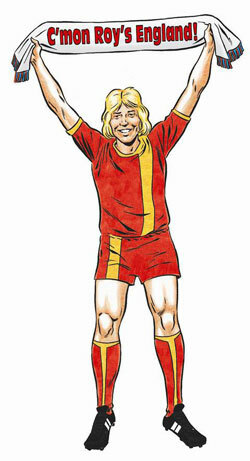 Roy of the Rovers, Volumes 1 – 4 are available now on the iBooks store for £1.99 each. Fans of Roy of the Rovers can also check out a new look to the official Roy of the Rovers website , with Egmont saying they plan to use it to bring Roy’s world of high drama to life, "with a variety of great content". Fans can follow all the action though Facebook, Twitter @Royofthe_rovers and through the weekly blog on the website. Egmont have also announced they will release a host of other Roy merchandise later in the year. The University Of Dundee has presented some unique comics events and exhibitions over the last five or six years under the auspices of Dr Chris Murray of the School of Humanities and Mathew Jarron of the University's Museum Services. At the request of the local community festival, West Fest 2012, this year they took on an exhibition of the work of, and a talk and Q&A session with, an artist who, despite working for decades on some of the best known British humour comic characters, is not that well known himself. David Sutherland took on art duties for The Bash Street Kids in 1962 when their artistic creator, Leo Baxendale, left DC Thomson's Beano to work on Odham's Wham!, and fifty years later he is still drawing the same characters week in, week out for The Beano. In addition to Danny and his gang from Class IIb, he has also illustrated Beano cover stars Dennis The Menace and Biffo The Bear. Located in Dundee University's Tower Building, the Baxter Suite has recently become a dedicated exhibition space for the Scottish Centre for Comics Studies (SCCS) based at the University. The exhibition consisted of around 20 pieces of original artwork, both colour and black and white, sourced from the DC Thomson archive mainly covering The Bash Street Kids and Dennis The Menace. The university has previously used the Lamb Gallery for these sort of exhibitions which is a much smaller space and, while the number of pages on display was similar to the number on display for, say, the Beano 70th Birthday exhibition in 2008, the large Baxter Suite did feel a little empty in comparison. However as people started to gather for the talk on the evening of 13 June 2012, the room began to fill-up. Chris Murray introduced David Sutherland to the stage along with Beano editors Euan Kerr, Alan Digby and Iain McLoughlin and, as David took his pencils to the flip chart, Euan (above left) began to describe David's life and career with David initially adding a few comments as he drew various "Bashers" and then longer recollections as he relaxed into the format of the evening. David Sutherland was born in Invergordon, Ross-shire in 1933, and attended Glasgow School of Art. After National Service in Egypt, and working for an advertising agency in Glasgow, he began working for DC Thomson in 1959 illustrating adventure strips for The Beano including The Great Flood of London, Danny on a Dolphin and Billy the Cat. 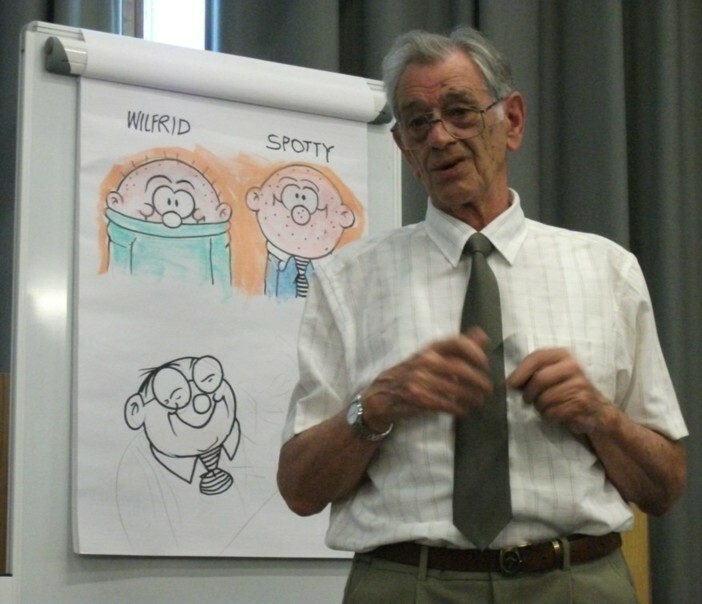 Since 1962 he has illustrated over 2000 Bash Street Kids strips in the weekly comic as well as in annuals and summer specials. In 1969, after the death of Dudley D Watkins, he was asked by then Beano editor, Harry Cramond, to finish the page of Biffo The Bear page that Watkins had started. Initially reticent to complete the work begun by the man that he considered to be the best all round comic artist ever, David would go on to illustrate the Biffo strip for the next 25 years while, in 1970, he also took over the art chores on Dennis The Menace from Dennis' artistic creator David Law when he took ill. Biffo was displaced from The Beano's cover by Dennis in 1974 and David was the artist on the strip as Dennis became the comic's most popular character with his run on the strip lasting 28 years until 1998. With various DC Thomson editors, writers and artists in the audience, as well as the Beano editors on stage, there was no shortage of comments and other reminiscences from them as David paused to recall something from decades before beforehand or to finish off a particular character sketch. The university even had a video message from Aardman animator Nick Park expressing his love of and appreciation for David's work. Indeed with his colleagues as well as his wife and one of his daughters in the audience, the friendly atmosphere seemed to help the reminiscences flow and we heard not just about his work for DC Thomson but also how his daughters had developed an eye for good artwork in The Beano, how his wife had to wash shirts with Indian ink on the sleeves, and how he had almost killed Beano editor Harry Cramond by throwing a flaming chip pan at him - not deliberately of course, as he was at pains to point out. The evening ended with a selection of questions from the audience followed by a choice of wine and soft drinks as the attendees got the chance to examine the selection of artwork on display, chat to the participants and, for a lucky few, get quick sketches from David himself. For someone who has probably never spoken about his career in front of an audience before, David Sutherland was a delight to listen to, sometimes thoughtful, often funny, always animated and it was a real treat to get the opportunity to watch him draw his familiar and beloved characters. This was the second comic art exhibition in the University's Baxter Suite, the first being the launch exhibition for UniVerse's Anthology One publication, and it was the first comics event there open to the public. While there were a few minor technical hitches to amuse the audience, the evening worked well and its success can hopefully be used as a blueprint to entice other DC Thomson creators to talk about their careers in front of an audience there in the future. The exhibition of David Sutherland's artwork remains open in the Baxter Suite, room 1.36 of the Tower Building, until 15 August 2012 and is free. The corridor outside the Suite also has a selection of original comic artwork by other artists on display including pages from Dudley D Watkins, Roland Davies, Ken Reid, Elizabeth Stott, Gary Erskine, Henry Flint and Colin MacNeil. There are more details of the David Sutherland: Comics Genius exhibition on the University of Dundee Museum Services website which includes the exhibitions reduced summer opening hours. There are more details of the Scottish Centre for Comics Studies and comics studies in general at the University Of Dundee at the university's website. There are more details of West Fest on the West Fest 2012 website. The annual small and indie press event Caption takes place 18th - 19th August 2012 in Oxford. Oxford’s annual small-press comics convention is a unique, friendly event that brings comics creators, manga artists, comic-book readers and professionals together to mingle and discuss their work. With a huge number of comic creators set to drop by, it's a great event for people interested in our lively independent scene, and, if you're a creator, a greta place to pick up tips and tricks on not only but producing but also marketing your work. Guests include Darryl Cunningham, creator of Psychiactric Tales and Science Tales and Nicola Streeten, creator of Billy, Me, & You and co-creator (with artist Sarah Lightman) of Laydeez do Comics, a graphic novel forum with a focus on the new wave of comic work (‘more domestic than superheroes’) based on the drama of everyday life. Check out the official web site for more info, and for exclusive CAPTION podcasts, the first online now (recorded in 2010) in which, Paul Gravett discusses webcomics with a variety of young creators including P.J. Holden, Liz Lunney, Tim Winchester, Philipa Rice, Sydney Padua and David O’Connell, whose work varies from cardboard cutouts to historical fiction. (with thanks for the heads up of Dave West at AccentUK): Carlisle comic fans have banded together and are planning Carlisle MegaCon, a comics event aimed squarely at giving North West comic fans an event that will be easy to reach without the expense of extensive travel. The brainchild of artist and writer Owen Michael Johnson, it's hoped the event will attract writers, artists, and authors and will include workshops, SF and manga attractions, and some cosplay fans. Taking place on Saturday 18th August, guests include indie publishers AccentUK, whose latest anthology, WesterNoir is already available on iPad via the Lush Comics app. "It looks to be shaping up into a great opportunity for comic readers in the North West to get a feel for what Cons are all about," enthuses AccentUK's Dave West, "and meet some of the creators and publishers face to face. "I love these smaller events as they are much more informal than events like KAPOW and allow readers and creators more time to chat." If you are a comic book creator and want to book a table at Megacon, send an e-mail entitled MEGACON to: - managerATcarlisle.waterstones.com. • Carlisle MegaCon will take pace on Saturday 18th August at the Richard Rose Academy, Victoria Place, Carlisle, Cumbria. 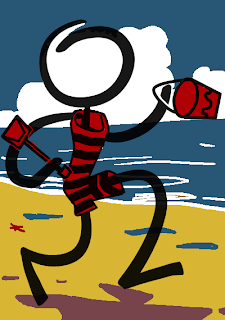 CL1 1NY. Doors Open at 1.00 pm. A Waterstones Carlisle Event, in association with Diamond Comic Distributors. For tickets and enquiries visit the Waterstones Carlisle Scotch Street store or telephone: 01228 542300. The latest issue of Cereal Geek, devoted to animated shows of the 1980s, is now available. Priced £6 in the UK, Issue Eight continues the theme from the previous issue, showcasing the many animated movies of the eighties; both series-based and studio-produced. 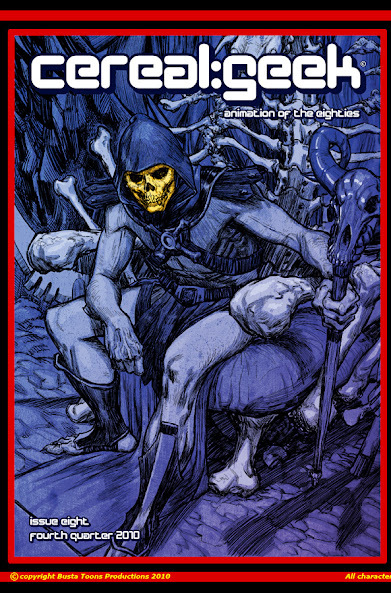 The numerous five-part stories that featured in many cartoons of the eighties are addressed in this issue, the He-Man and She-Ra movie The Secret of The Sword receives an in-depth article, including never-before-seen development artwork. Other shows covered include BraveStarr, MASK, Teenage Mutant Ninja Turtles, The Real Ghostbusters, Transformers, ThunderCats, and many more. Acclaimed illustrator Andrew Skilleter, perhaps best known for his Doctor Who art, is offering Cybermen fans the opportunity to buy a unique edition of the Cybermen book first published by Who Dares/Silver Fist in 1988 - a limited facsimile edition of actor David Banks the Cyberleader's personal copy No 1, in a Limited Hand Bound embossed ‘titanium’ Silver Edition. You can find this Collector's Item on Ebay as a Buy It Now/Best Offer listing offered for sale by Andrew Skilleter, offered as a Limited Edition of just 75 copies of this classic title. But be warned, it's strictly an item for the well heeled fan, with a cover price just short of £800 reflecting its manufacture and rarity. David Banks portrayed the Cyberleader throughout the 1980s, in Earthshock, Attack of the Cybermen, Silver Nemesis and The Five Doctors and his much-acclaimed Cybermen book was first published in 1988, with an introduction by the Cybermen’s co-creator, Gerry Davis. The book was extensively illustrated by Target and Classic Who artist, Andrew Skilleter together with numerous photographs and graphics, then later re-released in paperback by Virgin Books. The title was voted some years back as one of the best ever Doctor Who books of any any kind. 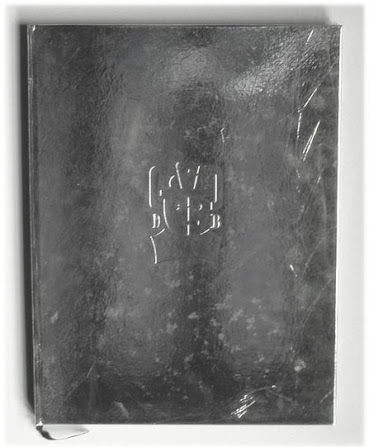 This limited edition, individually bound, large format hardbound book is hand bound in a textured silver fabric. 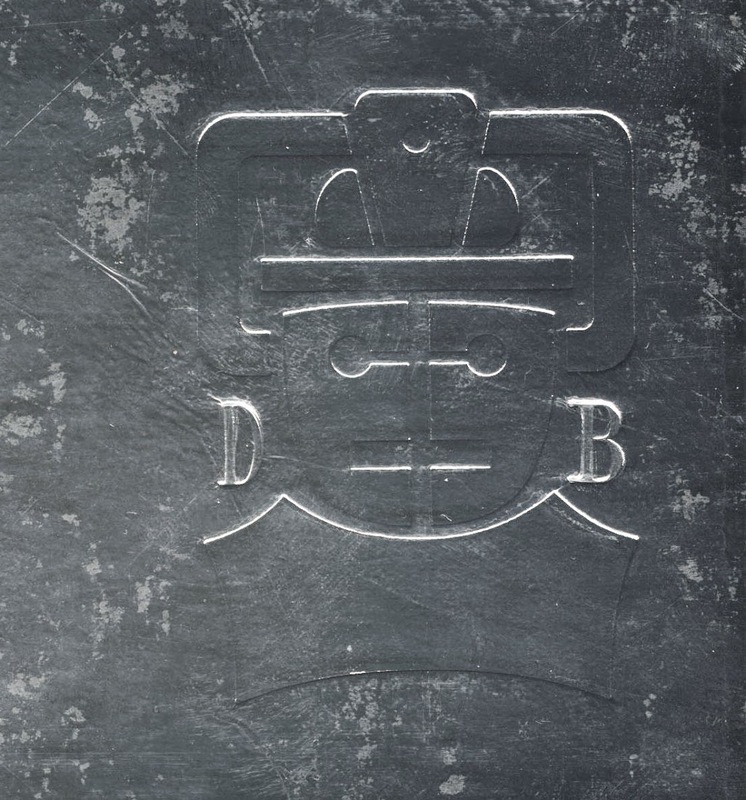 Embossed on the front cover is the Cybermark personalised with ‘D’ on the left and ‘B’ on the right.It has high quality heavy weight textured black end-papers, followed by two heavyweight grey papers with the certificate mounted on the right hand side numbered as 1/75 and signed in silver by David Banks, who played the Cyberleader in several Doctor Who stories, and in black by Andrew Skilleter and the book binder. There's also a silver’ ‘D’ & ‘B’ initialed by David Banks either side of the certificate title. This unique, if incredibly expensive collectable edition comes protected by a sturdy black cloth slipcase and offered in a deliberately 'distressed' appearance unique to each special edition, (the photograph above doesn't do justice to the embossed Cybermark). The slip case shows some signs of shelf wear and a just perceptible fade on the open edge, we assume to give the impression of the book being a well Cyber-thumbed tome.